Voted No.1 White Bouncy Castle Hire London Company. With over several years experience providing White Bouncy Castle hires for Corporate Events, Wedding & Party Photo Booth Hire London, we are guaranteed to provide the stand out White Bouncy Castle Hire in London. The White Bouncy Castle is popular in area such Kensington, Hackney, Wandsworth, Blackheath and Islington to name a few. We provide White Bouncy Castle Hire Kent. We regularly provide White Bouncy Castle hire in Kent at events in area’s such as Maidstone, Gravesend and Rochester. Funezee have an outstanding portfolio of fabulous reviews for our all White Bouncy Castle. We provide White Bouncy Castle Hire Essex. We regularly provide White Bouncy Castle hire in Essex and surrounding area at weddings in area’s such as Chelmsford, Basildon and Colchester. Funezee have an outstanding portfolio of fabulous reviews for our all White Bouncy Castle in Essex. 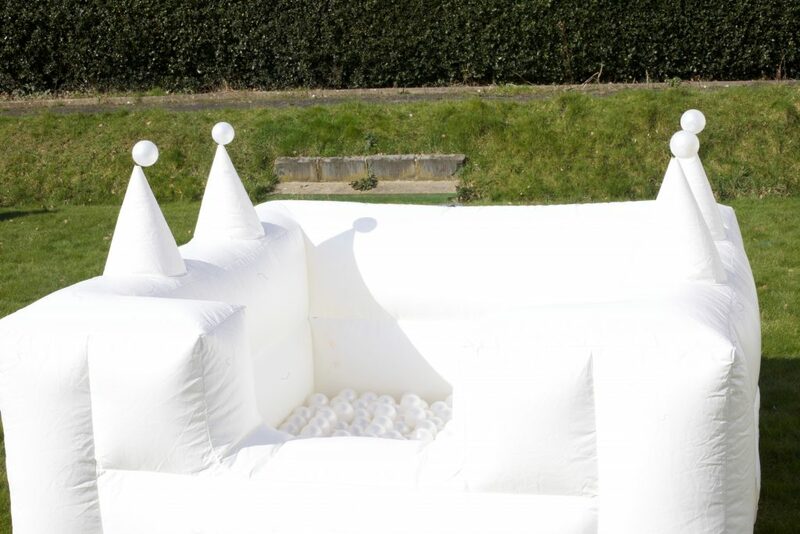 Funezee provide the white bouncy castle hire in London, Kent & Essex. The first bouncy castle in the UK to have a panoramic roof and grey stitching and wedding. We ensure the white Bouncy castle is deep cleaned after every hire to ensure the whitest bouncy castle. Please book the White Bouncy Castle as early as possible had its a bouncy castle in massive demand.